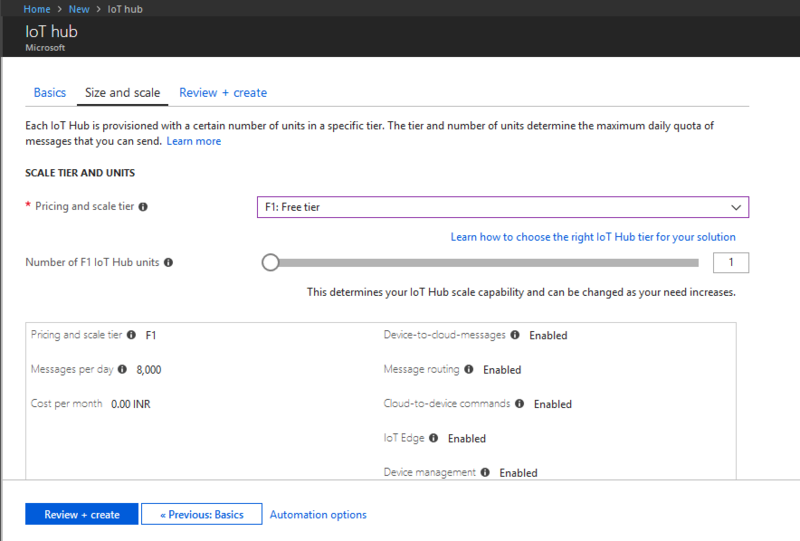 In this part we will cover how to configure Azure IOT hub and make it ready for using it with Raspberry Pi or ESP8266 boards. An active Azure subscription. 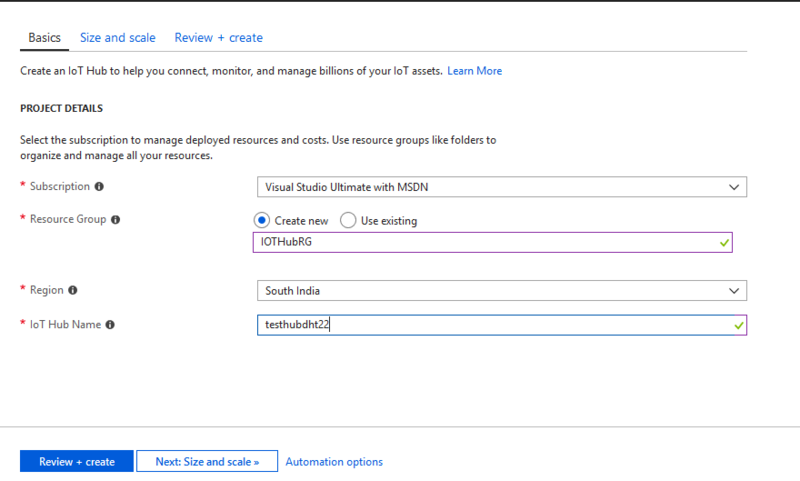 If you do not have an Azure account, create a free Azure trial. A monitor, a USB keyboard, and mouse that connects to Pi. A Mac or PC that is running Windows or Linux. A 16 GB or above microSD card. A USB-SD adapter or microSD card to burn the operating system image onto the microSD card. A 5-volt 2-amp power supply with the 6-foot micro USB cable. 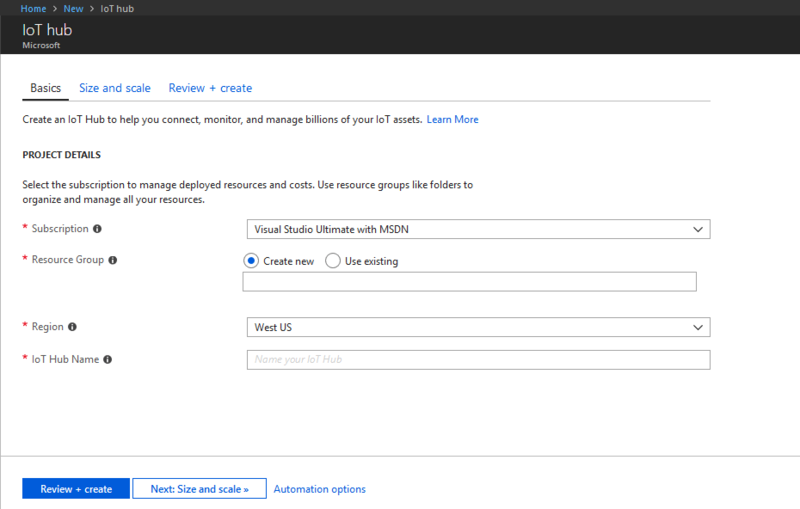 Select Create a resource > Internet of Things > IoT Hub. Name: Create a name for your IOT hub. If the name you enter is valid, a green check mark appears. Note: The IOT hub will be publicly discoverable as a DNS endpoint, so make sure to avoid any sensitive information while naming it. Pricing and scale tier: For this tutorial, select the F1 – Free tier. For more information, see the Pricing and scale tier. Location: Select the closest location to you. Pin to dashboard: Check this option for easy access to your IOT hub from the dashboard. Click Create. Your IOT hub might take a few minutes to create. You can monitor the progress in the Notifications pane. OIn IoT hub, locate the important information that you use to connect devices and applications to your IoT hub. 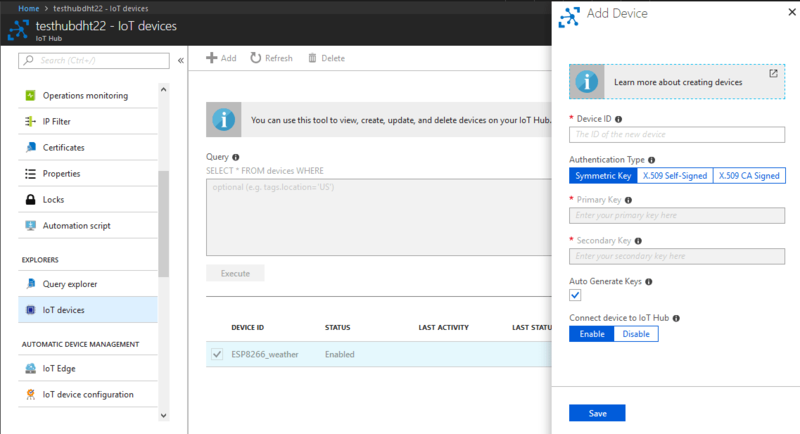 Open your IoT hub and click Device Explorer. Device ID: Enter the ID of the new device. Device IDs are case sensitive. Authentication Type: Select Symmetric Key. Auto Generate Keys: Select this check box. Connect device to IoT Hub: Click Enable. After the device is created, open the device in the Device Explorer pan and make a note of the primary key of the connection string.